Manufacturing Solutions, Inc. was established in 1992 to design and manufacture equipment for the industrial fastener industry, with a focus on the oil & gas industry local to southeast TX. Over time MSI developed a very effective system to bevel a pipe end in preparation for welding. 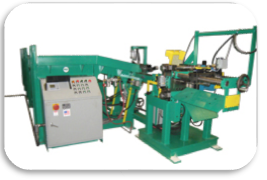 This was a manual task that MSI now automated with a significant increase in quality and reduction in process time. In addition, MSI designs and manufactures a number of other automated processing systems for the large bolt industry. MSI is a small manufacturing operation with 10 employees and less than $5 million in sales. The market for MSI’s products though is global and reaches across a number of vertical industries. Up until a point in late 2009, MSI was marketing in a manner that is still very common to small manufacturing companies. This approach was successful to a large degree until the recession that hit in 2008 ended the effectiveness of this marketing approach for MSI. Leads dried up, fewer prospects called, and the projects MSI did have took longer to close and resulted in an overall drop in sales. Wayne Moncla, the founder and President of MSI, was struggling with a number of questions common to many manufacturers during the tough 2009 year. How do I grow my manufacturing business? How do I get more qualified leads? How do market my business affordably? How do I convert more leads to customer? The same connections and customers were not sending new leads or projects. Leads were coming in but they were of very low quality. MSI was spending up to $1,000.00 per month on a PPC campaign managed by a marketing firm but the leads were not turning into sales. MSI paid for a website re-design and had a nice look to the site but traffic was not really increasing and lead quality had not improved. Trade shows did not yield very many good leads or people with active projects and there were fewer people coming and the ones that did show up were mostly local. Print ads continued to be expensive and became a luxury MSI could no longer afford. In early 2010 one of MSI’s partners introduced Wayne to the idea of inbound marketing and using HubSpot software to get found. The partner was working with Top Line Results and was using HubSpot to implement inbound marketing. They were seeing tremendous growth in leads, quality opportunities, and a definite connection to sales growth - so Wayne was interested. Top Line Results sat down with MSI and reviewed their current marketing results, costs, and ROI and determined that there was a better way that would not cost any more than the existing marketing expenditures. MSI was convinced that the cost of doing inbound marketing would result in significant ROI by reaching the real economic buyers for their very specialized products. It became clear that MSI needed to jump in and implement a full inbound marketing approach to growing their business. The first step MSI took was to completely end the PPC campaign and save the $1,000.00 per month. Looking at the data from the monthly reports of traffic, comparing the leads to the quote log, and then lining up with who actually bought we found that the PPC campaigns had zero return on investment. The bottom line on PPC for MSI is the leads never turned into sales and impressions or clicks were not connected to results. Although this broad based and general campaign was failing, it was determined that a more persona targeted PPC campaign may be useful in the future. Top Line Results then completed an extensive target market analysis to determine the exact keywords that would generate traffic from the right people – the target MSI persona company. For example, ‘beveling’ is a keyword that describes from a high level what MSI’s main product does. This keyword generated visits from people looking to bevel granite or counter tops – not good targets for MSI. When the site was optimized for ‘pipe beveling’ and other long tail keywords the traffic not only increased but was more qualified. Top Line Results optimized the website both on page (what you see when you navigate to the site) and behind page (behind the content things like meta data and H1 tags) to reflect the focus on a defined set of long tail keywords. MSI then started to create unique content around the long tail keywords and target customer’s personas. MSI launched a blog about manufacturing automation which allowed prospects to read about other manufacturing operations, case studies of MSI clients, and techniques and products used to improve industrial companies’ processes. These blog posts are targeted to MSI customer personas, optimized around the long tail keyword set, and published on a roughly once a month schedule. MSI launched social media accounts including Facebook, Twitter, and LinkedIn. MSI uses social media as a content outlet and even a way to locate people to hire (yes, they are hiring due to a significant increase in sales but more about that later). Using the HubSpot social media tool and Google Alerts, MSI is now commenting on other blogs and forums where their particular expertise is needed. In addition to the inbound links generated by these comments, Top Line Results started a campaign to generate inbound links from relevant and authoritative sites in the industrial arena. High quality inbound links have improved the authority and power of the MSI site moving them ever steadily up the Google rankings for target keywords. Using HubSpot’s integrated e-mail management tools, MSI and Top Line Results set up a lead nurturing campaign to automatically send follow up e-mails over a 30-day period to leads that converted on the website. We also imported all e-mails from previous marketing campaigns into HubSpot and began a regular e-mail campaign to the entire customer and prospect list. MSI did not stop attending trade shows but integrated inbound marketing with outbound marketing to significantly increase the return on trade show investment. Recently MSI attended a trade show and even though attendance was weak they were able to drive traffic to their booth and generate high level interest and high quality opportunities. MSI publicized the show on the website, wrote about it in the blog, sent e-mails to all current contacts, promoted the videos of the equipment as well as sending e-mails to the show attendee list and sending postcards to targeted attendees that fit the ideal customer persona. Top Line Results uses the Analysis tools within HubSpot to help set goals and targets for marketing, adjust inbound marketing efforts, and deliver partner accountability for the only results that matter to MSI – increased revenue. MSI recently decided to expand by developing a global representative and distribution network. One of the reasons they made this decision is that a number of interested distributors from around the world found the site, liked the products and solutions offered by MSI, and wanted to be able to partner with MSI to offer these solutions to their customers. So far MSI has located and agreed to work with distributors in S. America, Europe, and Asia. “The content we publish on the site has definitely given us credibility with these potential partners.” states Mr. Moncla. Clearly the strategy worked and continues to work. Sales more than doubled while the number of quotes and quote volume required in order to close a sale went down. “Targeting the right people is making the quoting process more efficient with less quotes needed to get a sale and more effective in that more quotes become sales. For a small manufacturer like us this time savings is invaluable” states Mr. Moncla. MSI is now using social media to reach out to the manufacturing community to locate good machinist candidates. As most manufacturers know one of the hardest things to do these days is find good qualified employees with the right skill set and experience and we will expand our reach using social media. 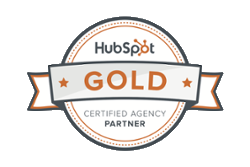 “Inbound Marketing implemented by Top Line Results using HubSpot has been a big winner for us. Our revenue is growing, we have seen our investments produce a good return in a reasonable time period, and we are building a marketing system that will yield results for years to come”, says Mr. Moncla. Just recently MSI was sold and the impact of inbound marketing on the value of the business was impressive. 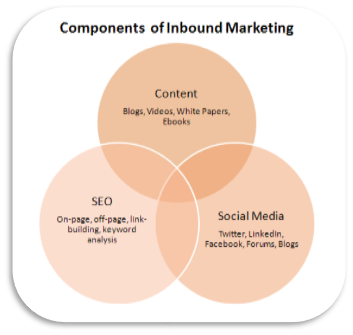 The value of the business was three times what it would have been prior to the implementation of inbound marketing. The consistent leads generated, the increased revenue, and the engaged contact list created lasting business value. Targeted content is the key and we will continue to monitor the target customers and answer the questions they are asking and provide expertise where it is needed. There are a number of initiatives planned for the next year for MSI focused around content creation including accelerating blogging frequency by adding posts answering customer questions, case studies, and continuing to define the details of applications and results derived by the users of MSI’s equipment. We will also develop more extensive white papers for download using calls to action and landing pages to convert a higher percentage of site visitors to leads. The early calls to action were all basic and low level and it is now time to develop offers for prospects throughout the buying funnel and not just ‘contact us’, ‘request a quote’, or other lower convert to lead percentage calls to action. MSI will develop a direct mail/call approach to very niche markets identified by inbound marketing. We will focus on geographic and small target niche markets and reach out using online tools as well as some old fashioned ones like cold calling and snail mail. These outbound efforts will be integrated with inbound efforts through the core of MSI’s marketing, the website. MSI is also developing new equipment based on feedback from the leads and contacts developed through inbound marketing.